A growth of 17.2 percent is envisaged in public investments in 2011, an election year. Out of the TL47.9bn worth of public investments planned for 2011, TL16.7bn is to be carried out by local administrations. 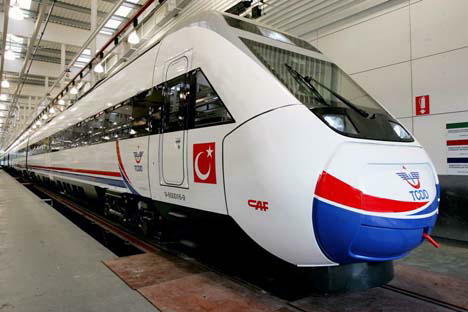 Turkey's Central government departments, revolving capital entities, state-owned enterprises, the Iller Bank (Provinces Bank) and companies under privatization, are set to invest almost TL31.3bn, combined. According to the 2011 Investment Programme just published in the Official Gazzete, public entities other than local administrations, had an investment stock made up of 2,534 projects, worth TL303.7bn, combined. been earmarked in 2011 for the projects in the stock. Out of that sum, near TL22.1bn is to be spent for ongoing projects, and TL606.2m for study projects. A further TL8.58bn is for new projects. Transportation and communications investments have the lyon’s share – TL15.3bn or 31.9 percent - in the 2011 investment allocations of TL47.9bn. A further TL5.7bn is to be channelled to education. While agro investments are been allocated TL5.1bn, projects in energy and health will account for TL3.15bn and TL2.71bn, respectively, of the total of public investments this year . Some TL1.64bn are to be invested in mining and TL1.03bn in housing. By public agencies, State Water Works ranks first in terms of allocations with TL5.55bn followed by the Highways Directorate General with TL2.65bn and the National Education Ministry with TL1.94bn. Also among the public entities high on the list of 2011 investment allocations, the Transportation Ministry’s Railway, Port and Airport Construction Directorate General with a share of TL1.49bn followed by the Health Ministry with Tl1.01bn.